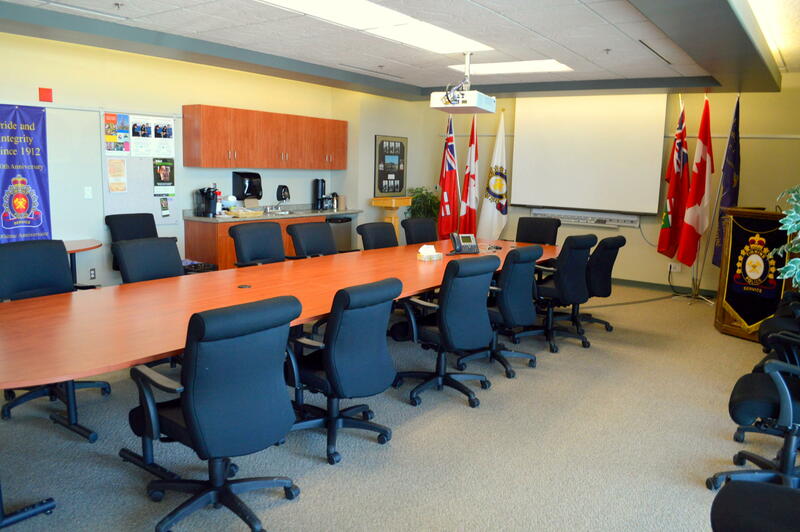 The Timmins Police Community Facility, located at 185 Spruce Street South, is equipped with a community boardroom that is available for use by non-profit groups or agencies. The community boardroom is outfitted with state-of-the-art presentation equipment, is comfortable and inviting, and can accommodate groups of up to 24 persons. The boardroom is available for use between the hours of 8:00AM and 11:00PM daily. The community boardroom is available only to non-profit groups or agencies and other recognized reputable community agencies or groups (i.e., charitable organizations, service clubs, etc.) Persons wishing to use the boardroom must sign a contract outlining conditions of use and a liability release. 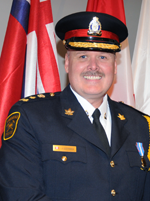 To book the boardroom, contact Stacey Boucher, Administrative Assistant, at 264-1201, Extension 8117 between the hours of 8:00AM and 4:00PM, Monday through Friday. Bookings will not be accepted outside of these hours.